One of the most gratifying things about being in this industry is that you get to meet some pretty cool people. 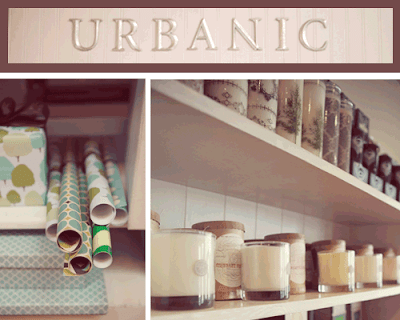 I first met Audrey Woollen, owner of Urbanic, at Girl Of All Work's debut at the National Stationery Show. 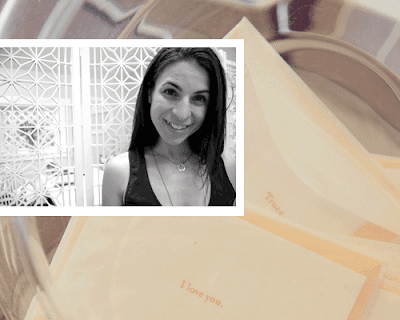 We were way in the back (with low-lighting), but being the true paper-phile that she is, Audrey was still able to sniff us out, and now you can find a whole range of our products at her hip paper boutique in Venice, California. Girl Of All Work: What inspired you to open your store? How did you come up with your name? Audrey: For as long as I can remember I have loved paper! One of my most enjoyable creative outlets has always been making special notes and letters for the people in my life. I delight in sending and receiving special mail and have equal appreciation for the sentiment as I do the creation. Owning a shop was always a dream of mine, so when the time was right and we found the perfect spot, our vision came to life.The name Urbanic came about when I started designing my own stationery line. The look and feel of the collection was inspired by the sophistication and modern style of urban living as well as the organic beauty of nature. I came up with the word Urbanic to encompass both. A: August 2006. Three years ago this month! G: How does your location influence your store's vibe? A: Abbot Kinney Blvd is a cool little neighborhood tucked away in the back pocket Venice. It's known for its unique architecture, forward style, modern art, and creative people. It is a hidden treasure in Los Angles and attracts design enthusiasts of all types. I love our street and the people who frequent the area. They seem to love what we pick out for the store and it is great to not have to try to compromise my style to fit the needs of the neighborhood. G: You must meet a lot of interesting people at your store. Who's one person that pops into mind? A: Being in Los Angeles, we definitely have our share celebrities that shop in the store regularly - so that is always very interesting! Truthfully however, so many of customers amaze us on a daily basis. The shop is frequented by directors, designers, actors, writers, photographers, stylists, musicians, producers and many other creative types. It's really hard to choose one since we are fascinated by so many of them. One person who comes to my mind that we worked with today is Sarah Brokaw (Tom Brokaw's daughter). We are designing some postcards for an organization she is part of called Women for Women. It is a non-profit that helps women survivors of war rebuild their lives. This is awesome. A: Probably still working in the fashion industry.I was a freelance independent rep for many clothing lines for about 12 years before opening the shop. I loved that the clothing industry was fast moving and always changing. I thoroughly enjoyed it while I did it and if I hadn't had my "a-ha" moment, I would still probably be doing it. G: What are you reading or listening to right now? A: Presently I am reading When You Are Engulfed in Flames by David Sedaris in addition to a few self-help books on how to be a good mom and an effective boss. As far as what I am listening to - It is mostly the independent music my husband downloads for us, since I don't have much time to indulge in this pleasure myself these days. Some of my old standbys however, that I will love forever are.. Pinback, Matisyahu, The Kooks, Bloc Party, Sufjan Stevens, Aphex Twin, The Cure and The Postal Service and Booka Shade. 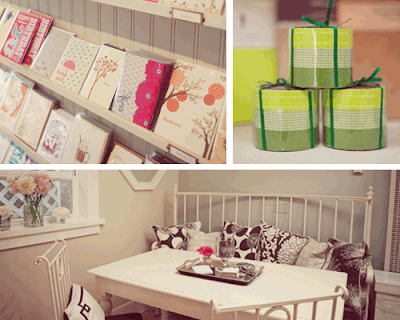 G: Stationery trends you're noticing? A: Vintage modern is huge! I am also seeing a lot of repeat patterns, bold fonts, patterned liners, peacock feathers, graph paper, skeleton keys and typewriter fonts. As many of us rely on computers and other electronic gadgets to store our personal information, there are still those who appreciate hand-written letters or documents printed on paper. As many of us begin this eco-friendly way of living, we should be responsible in handling not just paper products but plastic and e-waste as well. Businesses that show their concern for the environment should be applauded, like the one presented above. Keep up the good and 'green' work!